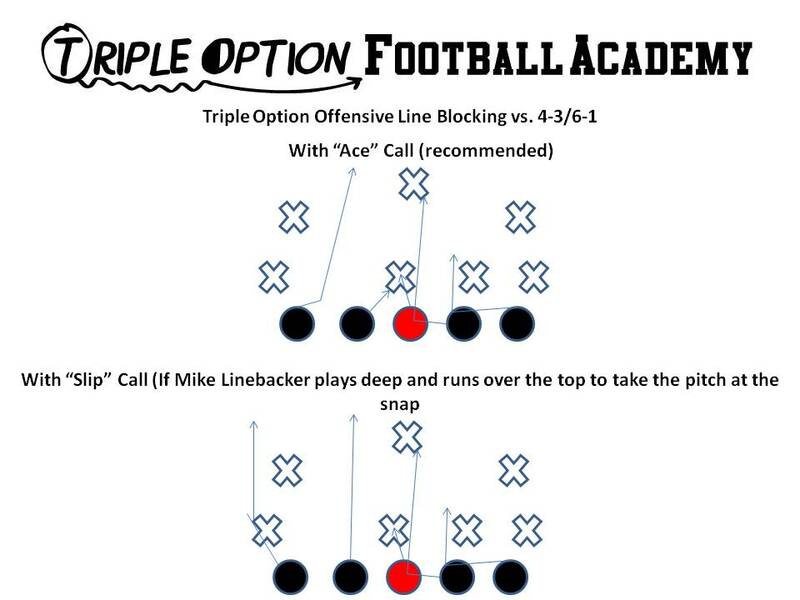 There are three components to the Triple Option Offense. The first is Offensive Line blocking. 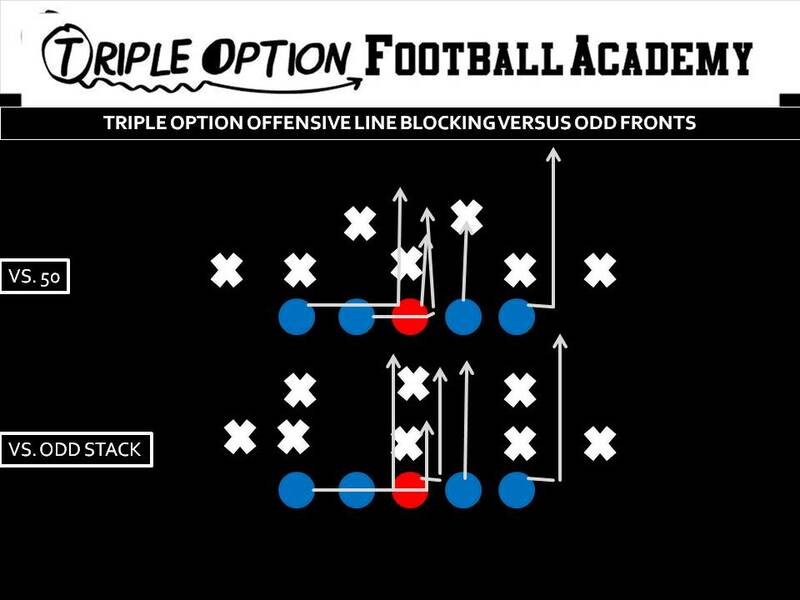 Triple Option Offensive Line Blocking versus Odd Fronts. 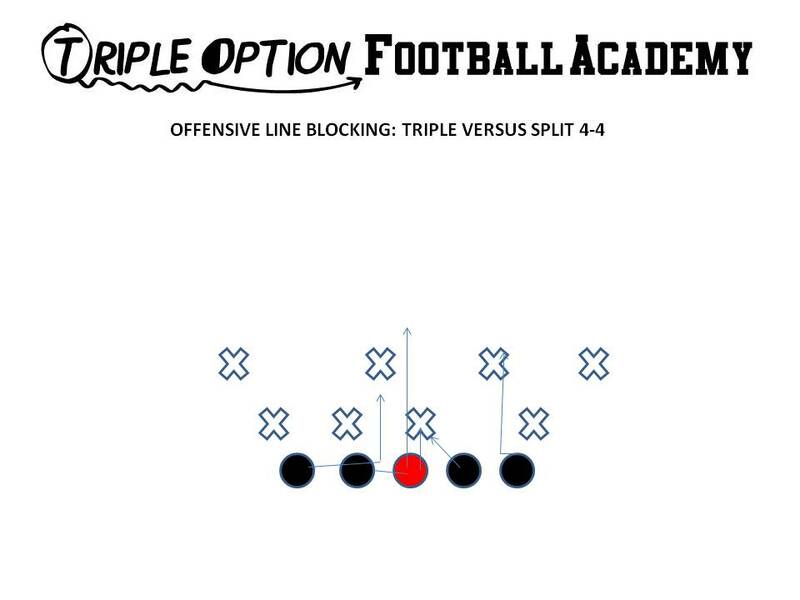 Triple Option Offensive Line Blocking versus 4-4. The Center and Playside Guard make an “Ace” call and Ace the A-gap defender. This tells the Playside Tackle to veer inside and veer through the outside breastplate of the Will. The Backside Guard and Tackle scoop and eliminate lateral and vertical penetration in their inside gap. This entry was posted in flexbone, army, navy, offense, playbook, veer on July 19, 2018 by Dr. Lou Cella.